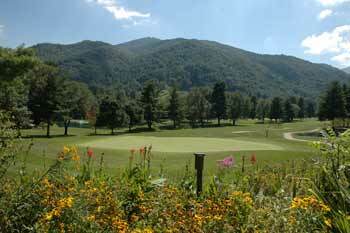 Maggie Mountain Vacations offers guests a discount coupon for golf at Maggie Valley Club. The tickets can be purchased at check in or anytime during your stay. Tee Times are subject to availability. Coupon purchases are non-refundable. Mountain Golf is a special treat to those who live in the low lands. The elevation changes and the terrain of mountain courses can challenge even the best pro. Let us recommend a course that best suits your skills, and the mountain golf experience will be one to remember for a lifetime.